The Council is seeking a candidate who works effectively with other team members; has strong organizational, research, and communication skills; works well under pressure; and is committed to its mission. Minimum qualifications include a Bachelor’s degree or relevant job experience. A Master’s degree in an appropriate field is preferred. Experience or education in environmental science, another relevant scientific field, or an engineering discipline. Competency with Microsoft Office and Adobe products and document management software such as Filemaker Pro, is desirable. 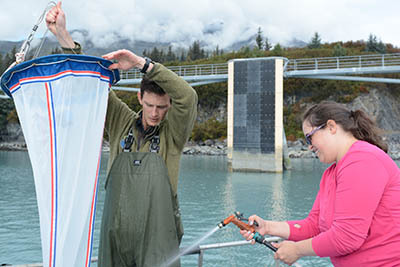 Experience working with volunteers, the Exxon Valdez oil spill impacted region, cross cultural communication, and the Alyeska marine terminal and oil shipping in Prince William Sound are a plus. The minimum base salary is $75,000 and may be adjusted depending on experience. An additional 25 percent of base salary is added after 60 days for benefits. This position is located in Anchorage, Alaska. Candidates can apply via email at jobs@pwsrcac.org, or by mail addressed to 3709 Spenard Rd., Anchorage, AK 99503, Attn: Director of Administration. The position will remain open until filled with the first review of applicants taking place on April 12 , 2019. Take a peek at the work we’ve been doing!